We’re looking for people with specific skills, professional expertise and lots of passion. These take place around the country at crags that need a bit of love to keep them in great shape for climbing. Keep an eye out for details of clean-ups via the BMC Area Facebook pages and on the Sandstone Volunteers Group Facebook page. The BMC is split into ten geographical areas: eight in England and two in Wales. Come along to the next meeting in your area to discuss the latest issues and see how you can get involved. Interested? Find out more about what happens at BMC Area Meetings and the dates of upcoming meetings. Turn up and you may even be treated to a top guest speaker and free chips! Our specialist committees cover the broad interests of the BMC from access to equity, from guidebooks to land management, from competitions to climbing walls...you name it. Read more about the not so secret work of the specialist committees. You'll be amazed at the amount they do on your behalf! Interested? Get in touch with the committees through the BMC community site or contact the BMC office: email office@thebmc.co.uk or call 0161 445 6111. The BMC holds and supports various events throughout the year; these include student seminars, disability symposiums, Women in Adventure film events, clubs seminars and BME symposiums. Find out what went on at the latest BME Symposium. Interested in getting involved with events, contact the BMC office: office@thebmc.co.uk or call 0161 445 6111. How many volunteers does the BMC have? Overall we have over 500 volunteers: at least 200 volunteers are involved in climbing competitions and around 60-70 help with our access and conservation work. Plus if you add up all those involved with our nine regional groups across England and Wales and ten or so specialist committees that's another 200. Dave Turnbull said: “One of the greatest strengths of the BMC is the partnership between staff and volunteers. As far as the office is concerned, supporting our volunteer force is one of our core priorities. 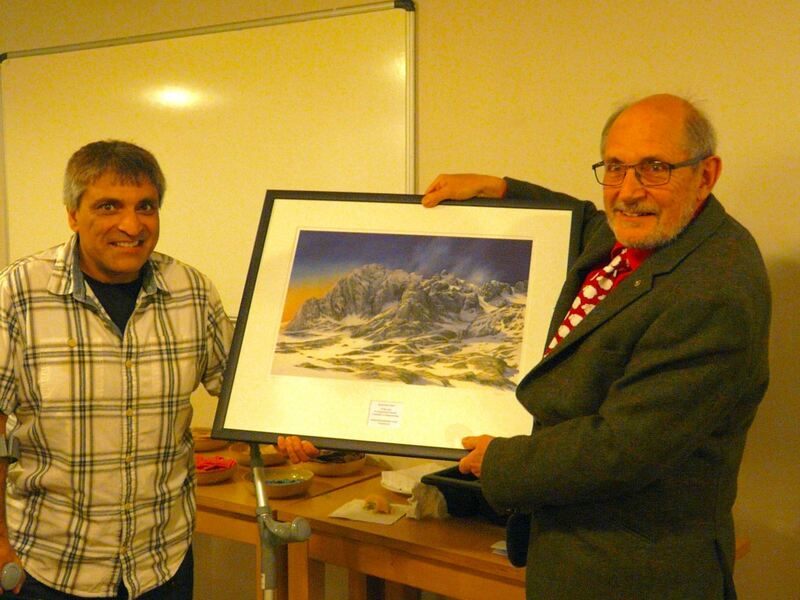 “In 2010 we started up the George Band Award for exceptional vountary contribution to the BMC and mountaineering to recognise the hard work of volunteers." You never know, one day you could be presented with the George Band Award yourself!" Ben Lyon receiving the 2016 George Band Award from BMC president Rehan Siddiqui. Ben was recognised for his significant role in the BMC’s Technical Committee over many years. Photo: Jim Krawiecki. See who is involved with the BMC on the BMC community site.